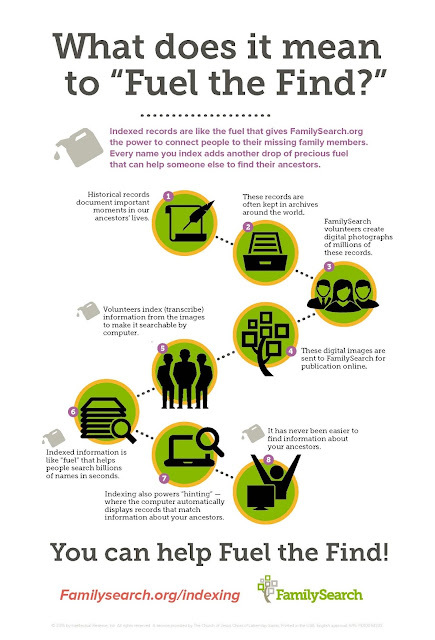 FamilySearch is again hosting a worldwide indexing event, Fuel the Find. Last year we were blown away to see over 66,000 participants come together in a 24-hour period for the Worldwide Indexing Event. This year we are making it a whole week long and we’re going for a record of 100,000 volunteers (current one-week record: 91,721)! Join volunteers from around the world to help “Fuel the Find” August 7-14 (wherever you are). You will have one week to participate by indexing at least one batch in the language of your choice. If you are fluent in French, Italian, Portuguese, or Spanish—our focus languages for 2015—please help index records in one of those languages. Special training will soon be available to help you prepare! 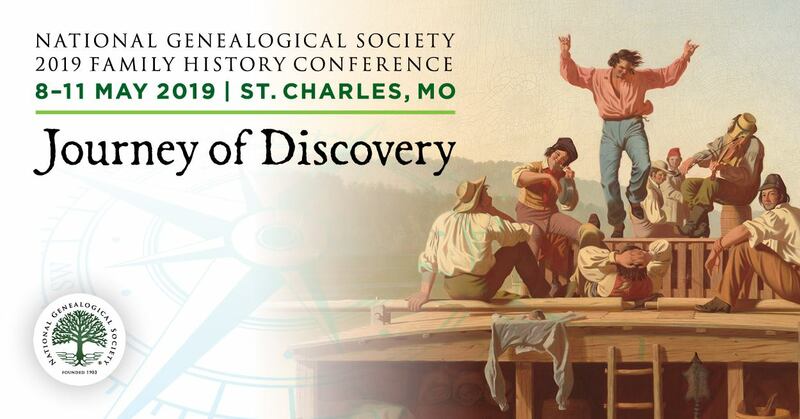 Read/learn more on the event Facebook (FB) page or via the FamilySearch Blog or via the Worldwide Indexing Event page. If you are not already signed up as an indexer, I would suggest you do that in advance. Additionally, tips are provided on the various mentioned pages on how to best participate (and not overload the servers in the process!). The best and least stressful event is one where not everybody is trying to work at once! Did you participate in the 2014 event? Do you have any tips for those considering participating in the 2015 event?